Antenna rotators. I won’t judge you if you use one. They’ll help you get reception from two different directions. But are they really the best idea? 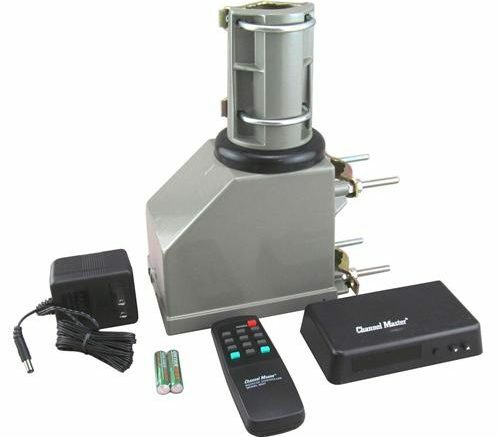 Let me say upfront that if you do want an antenna rotator from Solid Signal, we have a decent selection of the best ones. If you really think that’s best for you, I won’t stop you. But I will tell you a few things you didn’t know. Rotators today are largely made of plastic. Plastic isn’t a bad thing by itself but when you’re talking about a heavy antenna sitting on top of a gear and rotating around in the worst possible weather conditions, it’s going to break. It may not break today but it’s going to break. Today’s rotators are sadly not made like the ones you grew up with. And I should know, because as part of Solid Signal’s product team I tried to find a company that would make a real, quality rotator system that could last ten years. If I had one made under contract, the street price would have been about $800, and no one was interested in trying to improve reliability on the products they have, which tend to last about 36-60 months in the field. They aren’t the right solution for multiple TVs. If you want to watch something from Milwaukee and your kids want to watch something from Chicago, using a rotator means one of you will be disappointed. A rotator points your antenna in only one direction. If you’re within 40 miles of the towers, you can use an omnidirectional antenna like this Winegard Metrostar. It gets signals from every direction at once. If you’re more distant and you don’t need VHF at great distances, the Xtreme Signal HDB8X gives you the ability to pull in signals from almost the entire sky using careful aiming of its two hinged panels. Even better, two stationary antennas can be combined. Yes I get it, neither you nor your spouse want your roof to turn into an antenna farm. But two strong antennas pointing in two different directions will give you a super-powerful combination that lets you feed multiple TVs with strong signals, giving you dozens of channels all for free. I agree it’s not the most beautiful solution but it does work better than anything else. You can use a combiner like the Televes mast-mounted amplifiers to intelligently power amplified antennas, add additional power for long cable runs, and filter out harmful LTE signals. It’s the perfect solution and Televes mast amplifier/combiners are housed in water-resistant packages for decades of use, unlike that rotator you bought a few years ago. When you’re really serious about antenna TV, you’ll realize that throwing away money on a new rotator every 3-5 years just isn’t the way to go. Put up a pair of high-quality antennas and a high-quality amplifier/combiner, and you’ll never have to worry about any antenna problems.